Glen and Darla in Lake Chelan Wa. 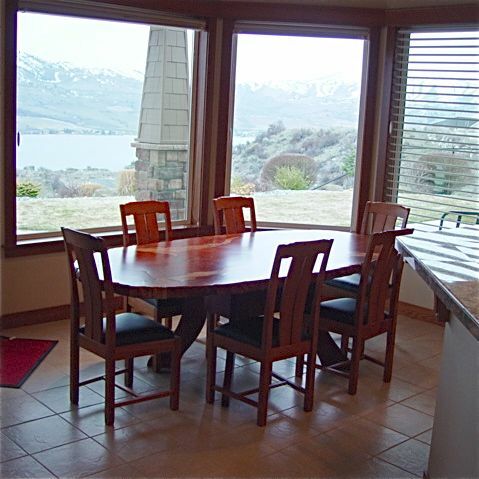 Several pieces installed at the Lake Chelan Getaway home! Maple burl, Redwood Burl Dining table. Redwood Burl, Maple burl and Dragon stone Inlaid dining table with 6 cherry & ebony chairs. The perfect spot for the perfect table.... what a view!